Whether the intention of your trip is business or pleasure, Hong Kong has a host of hot spots where you can let loose and have fun. Lan Kwai Fong and SoHo are the two most popular areas for drinking and nightlife in Hong Kong, offering a variety of restaurants, bars, and nightclubs. Lan Kwai Fong is in the busy and loud Central Business District, while SoHo is a bit more sophisticated, located just south of Hollywood Road (hence the name). Lan Kwai Fong has become the home of the Hong Kong party and features a den of cobblestone streets packed with bars, clubs, and restaurants. There are over 80 bars, including most of Hong Kong's more upmarket drinking spots, but establishments run the gamut from spit and sawdust joints to chic wine bars. On the weekends, the buzz is irresistible and the area bulges with expats and tourists who spill out onto the surrounding streets. Nightlife kicks into gear at around 9:00 p.m. and carries on well into the morning, with happy hours running through the night. Some essential spots to check out are Dublin Jack, a sleek Irish pub where the owner knows his patrons by name; Hong Kong Brewhouse, which features some of the best local brews; and Stormies, the focal point for drunken antics. A must is a drink on the rooftop of the Fringe Club, which offers a peaceful pint in the middle of the chaos of Lan Kwai Fong. Veteran drinkers often treat Lan Kwai Fong as an extended warm-up before stumbling into the Wan Chai area (Hong Kong's red light district) later in the night. If it's clubbing you're after, Lan Kwai Fong hosts the city's best dance floors. The blend of Chinese culture and colonial architecture with a touch of modern make for a more cosmopolitan atmosphere in this premier entertainment district. You'll find restaurants, bars, nightclubs, art galleries, and Asia's first comedy club, as well as one of the longest elevators in the world. Whereas Lan Kwai Fong has more of a party vibe, SoHo attracts an expat crowd that is more refined. If you're looking to dance the night away, drop by Drop, which has gained the reputation of being the place to catch the best house music in town while enjoying an intimate atmosphere. For elaborate cocktail concoctions, head to Quinary, a sort of mad scientist's mixology lab. Varga Lounge is "Hong Kong's must-experience bar," harkening back to the 1950's pin-up-girl days with retro music, decor, and drinks. To sit back and savor a variety of varietals, try Nocturne Wine and Whisky Bar, where you'll have over 250 wines and 150 whiskeys to choose from. While the attraction of Lan Kwai Fong isn't really the restaurant scene, SoHo is known for its wide selection of quality restaurants—everything from light ethnic bites to elaborate elegant meals. For some exotic traditional Lebanese food head to Maison Libanaise and sit on the rooftop to take in the action below. Or experience Vietnam's Bia Hoi tradition (sipping beer on street corners) at Chom Chom, where Vietnamese brews are paired with classic Hanoi street food. No matter your taste or budget, there are plenty of eateries to choose from. 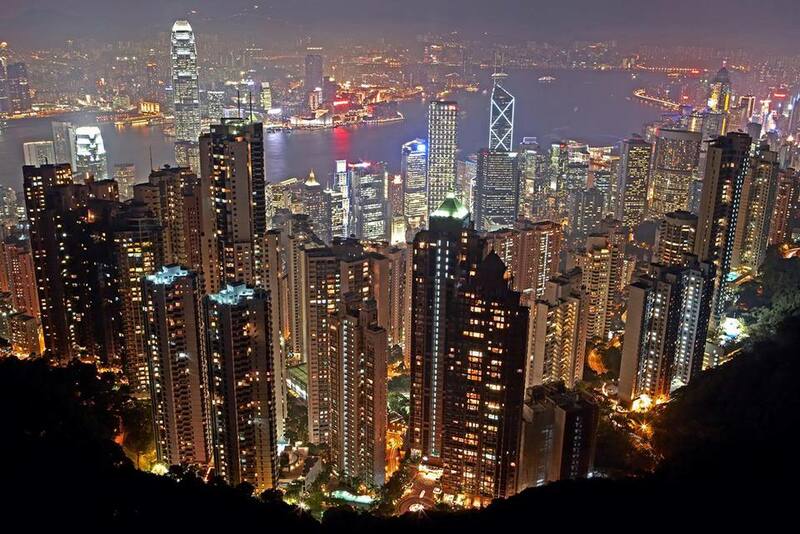 Where Can You Find the Best Nightlife in Hong Kong?